Eating Your Way to Better Heath go? The information on this site is not intended or implied to be a substitute for professional medical advice, diagnosis or treatment and does not establish any patient-physician relationship. All content, including text, graphics, images and information, contained on or available through this web site is for general information purposes only. Please consult your health care provider before making any healthcare decisions or for guidance about a specific medical condition. Authentic Life, Inc. expressly disclaims responsibility, and shall have no liability, for any damages, loss, injury, or liability whatsoever suffered as a result of your reliance on the information contained in this site. Sign up for a free email membership and you’ll get instant access to the 132 page eBook "One Degree of Change" plus a lot more valuable information created on a regular basis! *We won't share your information with anyone. You have been such a blessing to us over the years – giving of your time & service so sacrificially! We are so thankful for all you have done for us in helping us get to better places of wellness in our lives. Many blessings to you as the Lord continues leading you & using you! Thank you for all you’ve done for me – I would not be in as good of a place today without you! I wanted to take a moment to thank you for all the help you have given me in my time here. It’s been great getting to know you personally and professionally. I appreciate your gentle nature and kind spirit and am thankful you have honored me with friendship. Thank you! Wish to thank you for being a gentle natured soul when you treat me on Monday mornings, when I need that gentleness the most! Thank you for all the great chiropractic care! I enjoy my weekly appointment, you are a true asset! Thank you for caring for our family. We appreciate what you do for us and your recommendations for nutrition. You are a good person with a good heart – thank you! I can't thank you enough for listening to me when I came to you in so much pain and frustration with my stomach and bowel issues. You truly are a blessing for me! Finally, less pain to no pain, no running to the bathroom all the time, etc., and enjoying food again (the right food), energy to do things I enjoy. I can't express enough how wonderful life is again and fun! Thank you so much! I'm so glad God sent you to me! You are a blessing! Thanks so much for all the time and information you provide to me. I can see you are so passionate about your work and I really get motivated to learn more. It’s contagious! I just wanted you to know how grateful I am that you were so kind and accommodating to me when I was in pain with y rib. I don’t know what I would have down without your help. You just put me at ease and helped me cope. I know this is why you are here but I wanted you to know that you are appreciated – a lot! You were really there for me, so thank you! Thank you so much for all of your amazing guidance and talent in my battle to stay well. I couldn't do it without you. Power is on for 2017! Words truly cannot express how thankful we are that God brought you into our families lives! You have blessed us in so many ways! We thank God and are so overwhelmed that our family has received such great care from you – what a gift! It has taught our children about a blessing from God – there are so many! Thank you!!! How do you thank (properly) a one-sided relationship? Through my breast cancer and my brain surgery (and everyday life) you have kept my body and my spirit going. You have impressed entire medical teams at Froedtert with my body's ability to fight. How do you thank someone (properly) for helping you to survive? I have been trying to find the right words for the last 2 weeks and I have decided there are none. I pray you will always have someone in your life as special as you have been for me. Thank you, Dr. Georgia, and continued bountiful blessings! Dr. Georgia is authentic, intuitive, and a true healer. Your life will be so much better once you experience Authentic Life. The Authentic Life blog provides simple answers for healthier lives through research, tutorials, recipes, and living life with positive vitality! 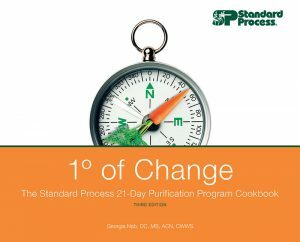 Get instant download access to the 132 page eBook "One Degree of Change" written by Dr. Georgia Nab plus email notifications of new blog posts, health seminars and other valuable information!